In the midst of a show full of seriously modified Jeeps with large tires and off-road accessories galore, sat an unassuming 1973 Super Jeep. It has been a while since we have had a featured Jeeper so I am happy to share Derek with you all. Just so everyone knows. I enjoy reading and learning more about each and everyone of you and am always looking for more Jeepers to be Featured. So if you would like to be featured, please do not hesitate to let us know! We would be happy to have you! 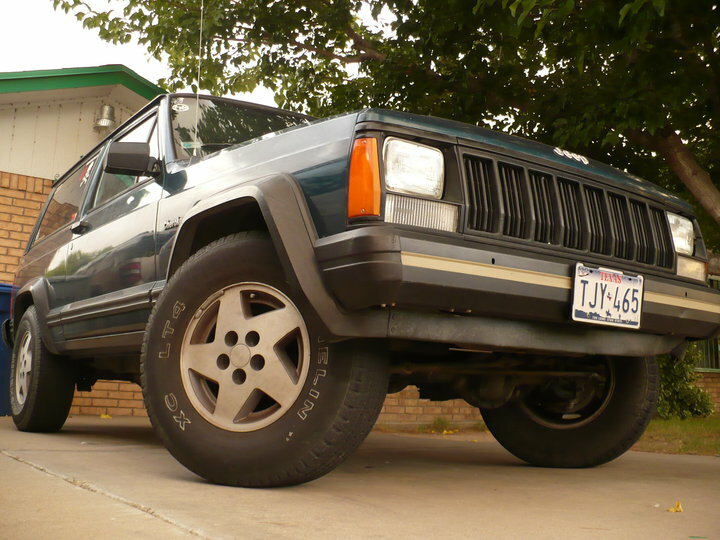 How many Jeeps have you owned in your lifetime? – 1? 2? Maybe even 3? How about 17 and still going strong? I know of one person who can say they have owned 17 jeeps in their lifetime and I am pretty sure that number will continue to grow. That person would be none the less then Zach Harkness – today’s featured Jeeper. Allow me to turn this over to Zach while he shares his love of Jeeps! It has been a while since we have had a featured Jeeper so I am pleased to bring to you Krista Kunkel. If you would like to be a featured Jeeper like Krista and the many others before her, just leave a comment on our Facebook FanPage and we will be in touch with you! Without further ado.. allow me to introduce you to Krista, a Michigan girl with a big love for Jeeps and Jeep off roading! I know it has been a minute since I have featured a Jeeper here on our blog, but that doesn’t mean I have stopped. For some reason, those wanting to participate has slowed way down. So, if you know of someone you feel would make a great featured Jeeper, let me know! However, let’s get back to the meat of this blog – today’s Featured Jeeper Eric Deverick! Today I bring to you a young man who is fairly new to the Jeepin world but already hooked! Residing in Texas, Alex is almost 18, birthday at the end of this month.. (Happy Birthday early Alex!!) who resides in Texas. As a college student, he has all the great dreams and hopes for the future, I am sure for himself, but for his Jeep as well.. But finances can be a little tough during college years. If you have been following the Featured Jeeper blogs you will see one thing that is shows tons of diversity, the age of Jeep off roading enthusiasts… from the young to the old, one thing that is always the same is the love of it. Today’s Featured Jeeper is Kegan Baker. Read on to get to know this young Jeep enthusiast and catch a glimpse of a little softer side of Jeepers. Just because you are into extreme sports like off-roading doesn’t mean there is not a soft side under all that adrenaline. Today’s Featured Jeeper is none less then Kevin Marchant. Kevin comes to us from Missouri. Yet another family that loves the adventure off Jeep off roading – allow me to turn this over to Kevin as he shares his life and his jeep. Today’s featured jeeper is Kurt Ganrud. I really don’t know how to introduce this jeeper to you other then pull up a chair, sit down and take a stroll with Kurt and his life… Enjoy.. I know I did.. Make sure to check out his facebook.. he has a lot of great pics!